NEW BRITAIN - A new scholarship fund named after a World War II veteran and his wife will join the list of other grants available from the Community Foundation of Greater New Britain this year. The Ruth M. and Adolph J. Betterini Scholarship Fund will be available from the CFGNB to its first round of applicants this scholarship season. The scholarship is available to graduating seniors of Berlin High School or New Britain High School pursuing a degree in engineering or a field of medicine. According to the CFGNB, Adolph J. Betterini and his wife, Ruth, graduated from New Britain High School in 1941. Adolph Betterini served in Europe during World War II with the Mighty 8th Air Force as a flight engineer for the 392nd Bomber Group. After his military service, he and his wife had long careers and retired from the Fafnir Bearing Co. in New Britain. After Ruth Betterini died in 1985, her husband wanted to ensure that he would leave a legacy for him and his wife. In working closely with the CFGNB, Adolph planned to establish the Ruth M. and Adolph J. Betterini Scholarship Fund with a future gift agreement and estate gift. At that time, Adolph was welcomed into the foundation’s Beehive Legacy Society, which recognizes individuals during their lifetime for planned gifts that will benefit the foundation’s mission in the future. 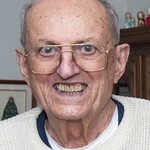 The Betterini Fund came to fruition when Adolph Betterini died 2016 and more than $847,000 has been received to date from the estate for the new scholarship. Candidates for the scholarship must display good citizenship in their school and community and show evidence of community service. Students can apply for the Betterini scholarship by visiting their school’s guidance office or contacting Candice Tabone, CFGNB office manager and scholarship associate, at ctabone@cfgnb.org. Posted in New Britain Herald, Berlin, New Britain on Monday, 11 February 2019 19:58. Updated: Monday, 11 February 2019 20:01.